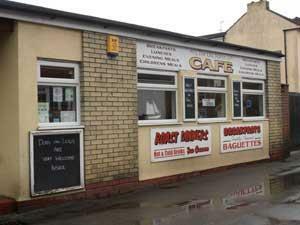 The Old Manor Cafe in Caister-on-Sea near Great Yarmouth is located a stones throw from the beach and lifeboat station. Serving breakfasts, roasts, cream teas and much more with newspapers, beach goods and groceries and daily essentials. On arrival in Great Yarmouth follow signs for the A149 Caister-on-Sea, proceeding straight ahead at the Yarmouth Stadium roundabout towards the village. Proceed straight ahead at the next mini roundabout and take a right turn onto Beach Road at the next mini roundabout. Drive to the end of Beach Road, taking a left turn onto Manor Road.